With many avid reptile keepers in store, you can guarantee to be inspired for your next scaled pet. 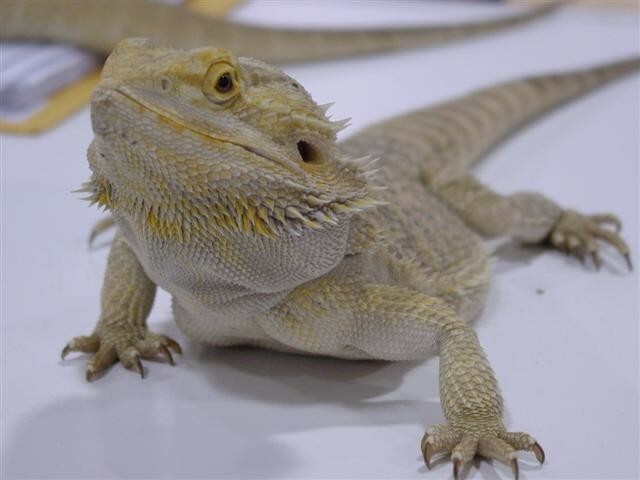 From dragons to snakes, we can provide you with all the necessary products to keep your pet thriving. We feature a large reptile section with a diverse suite of products so that you can get the right gear to get the job done. Come in and visit us to talk to one of our friendly reptile experts! With an extensive range you can be sure to find something that suits your needs. The reptile section boasts a large suite of quality products that range from the most basic needs all the way up to full terrarium setups. We stock a large variety of equipment that ranges to suit beginners and advanced keepers alike. The products we carry cater for all steps of the process - from setup of the environment to caring and maintaining your pet, with professional assistance along the way. Reptiles and spiders a little bit much for you and the kids? Why not go with friendly little hermit crabs. Reef River Reptile keeps hermit crabs in stock all year round. These little guys make the perfect pets for kids and the household as they are easy to care for and provide hours of entertainment. We stock all the necessary equipment to get you going and even have kits so that we can send you on your way knowing that you will have the utmost success in caring for these little critters. Similar to hermit crabs, stick insects make interesting and bizarre pets for your home. Reef River Reptile keeps several varieties of stick insect all year round, including the leafy stick insect and the Goliath stick insect. Stick insects are easy to care for, and are friendly so are the perfect pet for those who want something a little different. We are equipped to handle all your stick insect needs and are able to set you up with all the necessary equipment to keep your insects happy. Fancy something really different? Maybe something with 8 legs? Well then we have exactly what you're after! Reef River Reptile stocks a range of scorpions and bird eating spiders so that those who want something truly different can do so. We also stock a large range of equipment and enclosures so that you can keep your creepy crawlies happy.